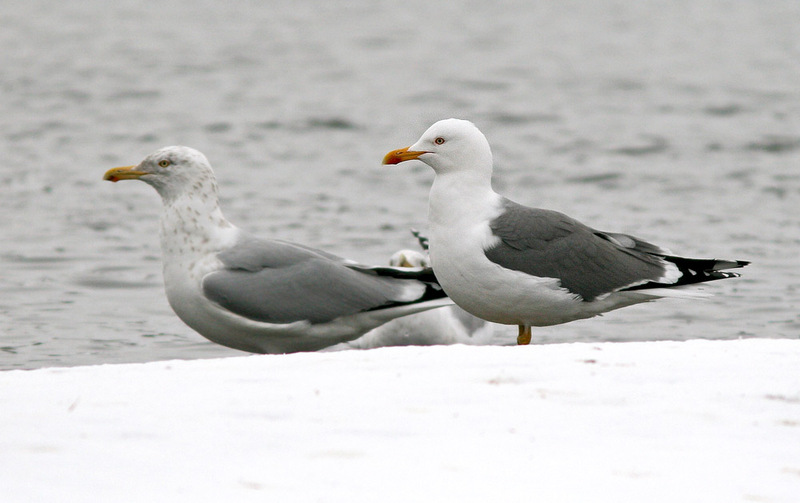 Quidi Vidi lake, in eastern St. John’s, is the hub of local birding activity during winter (if not all year). The resident ducks are joined by many others as ponds & rivers around the city freeze up, and the small areas of open water at Quidi Vidi can provide great looks and photo opportunities with a a variety of interesting birds. 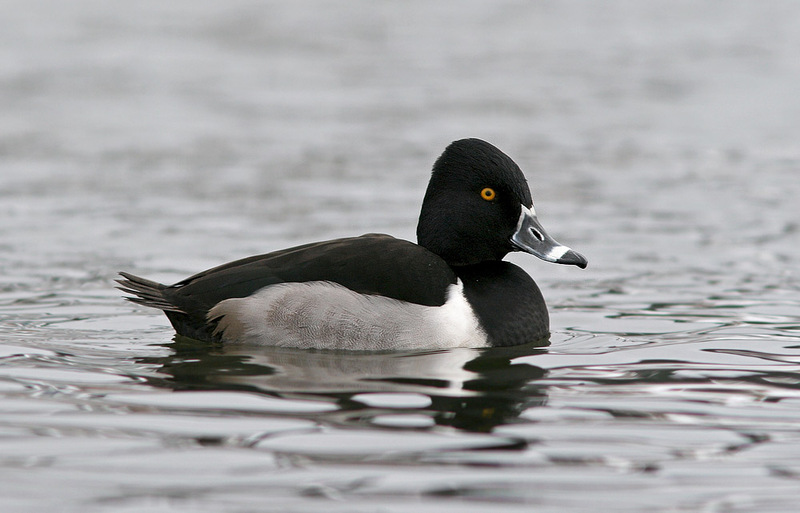 Regular species there include Northern Pintail, Greater & Lesser Scaup, & Tufted Duck, among others. 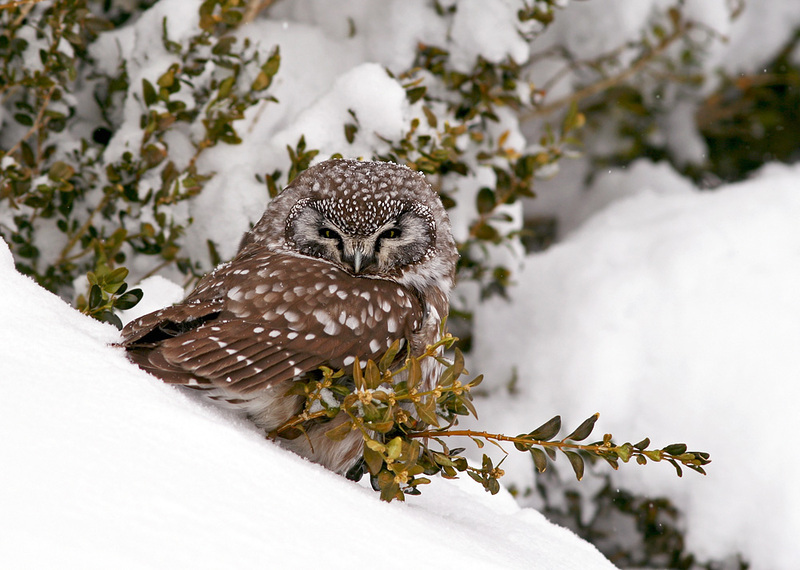 This winter they have been joined by more uncommon birds like a drake Wood Duck and a pair of Ring-necked Ducks. 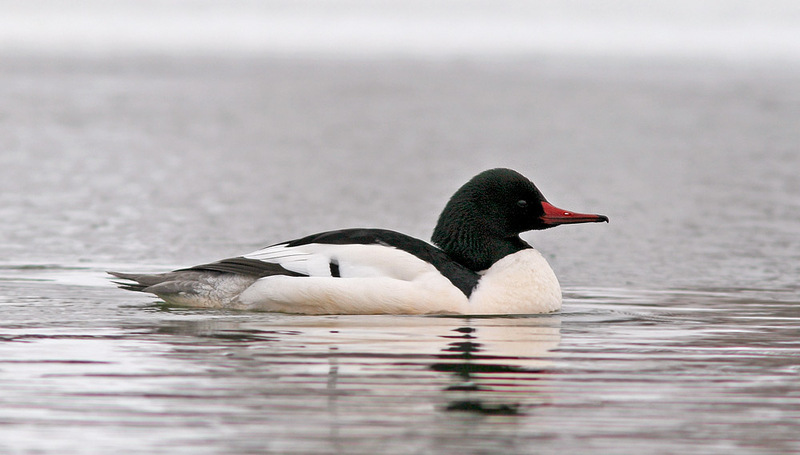 Very unusual have been as many as five Common Mergansers visiting the lake the past two weeks, providing great, close views that are very atypical for this normally wary species. Ring-necked Ducks breed in Newfoundland, but are rarely easy to photograph. This drake has been hanging out in the relatively small patches of open water at Quidi Vidi since early February. Since this morning was the first chance I had to visit Quidi Vidi for several weeks, I was happy to find the mergansers, Ring-necked Ducks and the other divers hanging out there and providing some excellent photo opportunities. 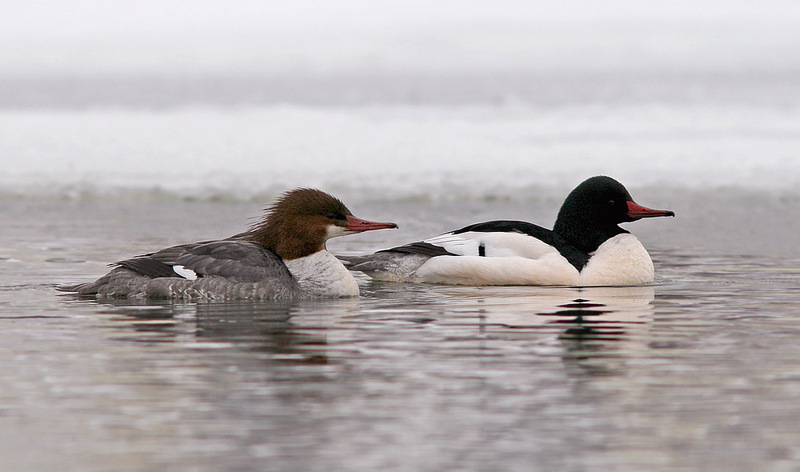 Photo opportunities with Common Mergansers are few and far between ,since they usually stick to larger patches of open water and are very wary. A small group making regular visits to Quidi Vidi have been becoming more tolerant of people and allowing some great looks. But my main reason for visiting this morning was to look for the adult Yellow-legged Gull which has been so elusive all winter. It has only been seen a handful of times since it was first discovered in late October, but in had been reported at Quidi Vidi each of the past three mornings. I only had a couple hours before having to return home for family obligations, so I was hoping it stuck to its apparent schedule. 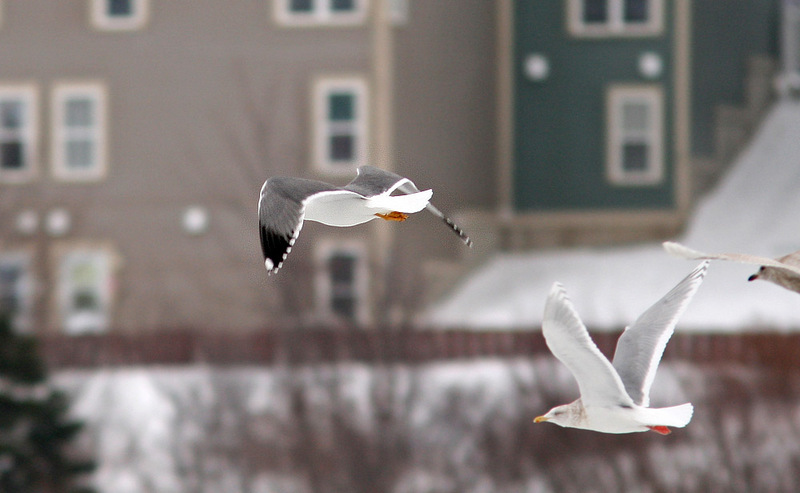 And sure enough, at ~9:40am I caught sight of this classy looking gull flying in. It landed on the “beach” at the Virginia River outflow, just 20m or so from where I and a handful of other hopeful birders were set up. I managed some decent photos (despite the fact its legs were consistently obscured by snow and/or water) before it moved further away to rest on the nearby ice and eventually flew off when the rest of the gulls were flushed by an eagle. Great start to the weekend!! 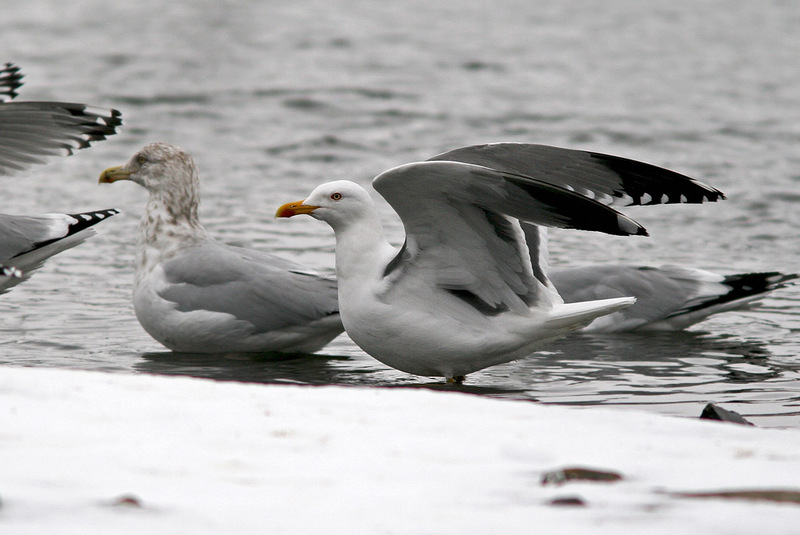 The Yellow-legged Gull (right) is, in my opinion, one of the classiest looking gulls out there (and I do love gulls!). The combination of bright yellow bill and legs, brilliant red gony spot, and that magic shade of grey add up to one beautiful bird. Note the single white mirror on P10 and the extensive black in the wingtip of this Yellow-legged Gull (especially compared to the Herring Gull wingtip visible at far left). 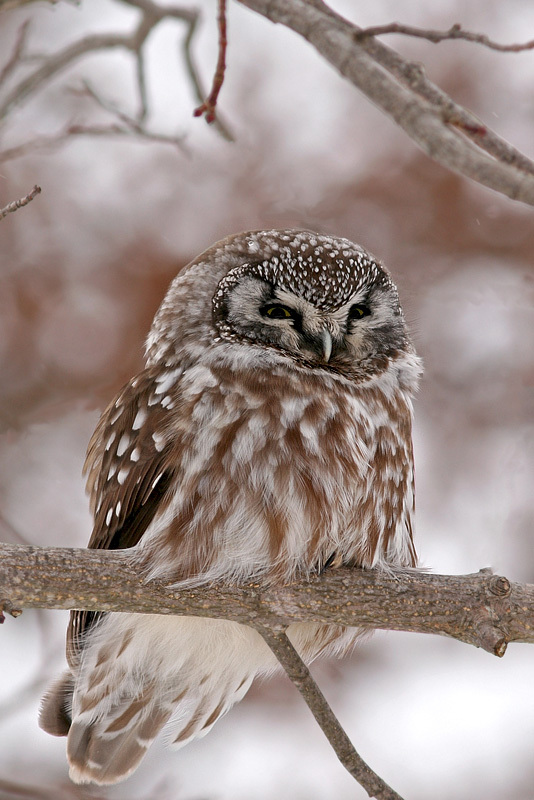 While the cold weather and heavy snow may have driven many of the Snowy Owls observed in Newfoundland earlier this winter into hiding, signs of this year’s massive invasion are still very evident in other parts of eastern North America. 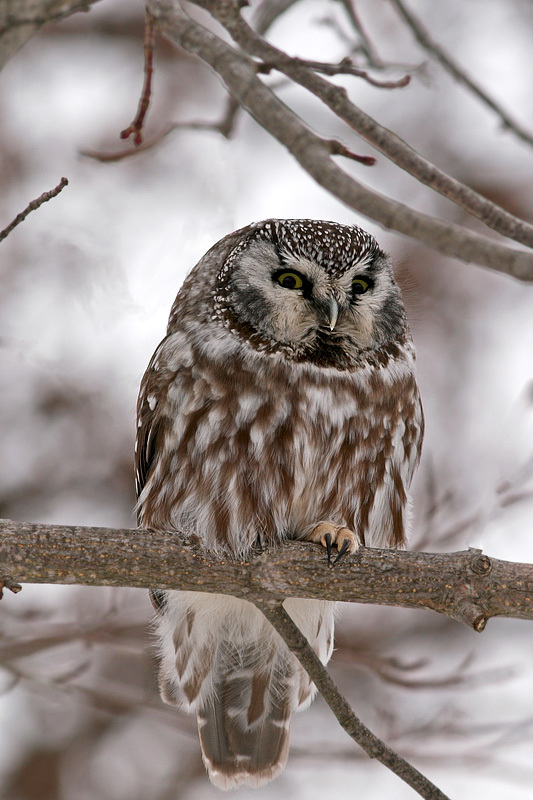 The extraordinary irruption was first noticed here on “the rock”, but it is the unprecedented number of owls reaching further south into the Great Lakes, New England and the midwestern United States that seem to have taken all the headlines. And they are still being seen in big numbers today. 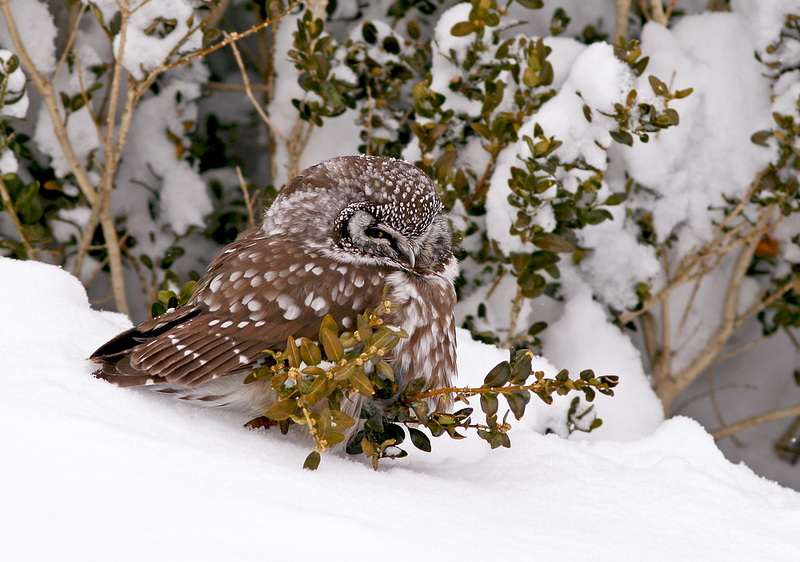 In fact, preliminary results for the Great Backyard Bird Count suggest that more than 2500 Snowy Owls were reported across 25 states and 7 provinces this past weekend!! 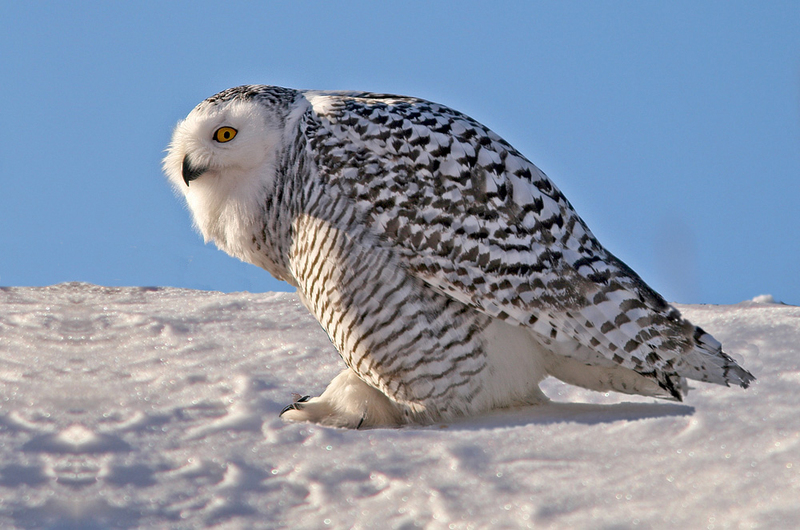 Join me for a discussion of this incredible incursion at the upcoming public presentation entitled “Arctic Invasion: The Snowy Owl Event of 2013-14” (sponsored by NatureNL). Note: Parking is available in the Science Building car park.